Cappuccino Muffins With Mocha Glaze, a delicious vegan, gluten free treat. Yes, it is that time of year, and Santa needs some caffeine. 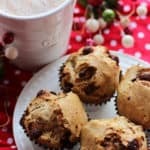 These cappuccino muffins with mocha glaze will definitely add some energy to the tireless job that is Santa’s. 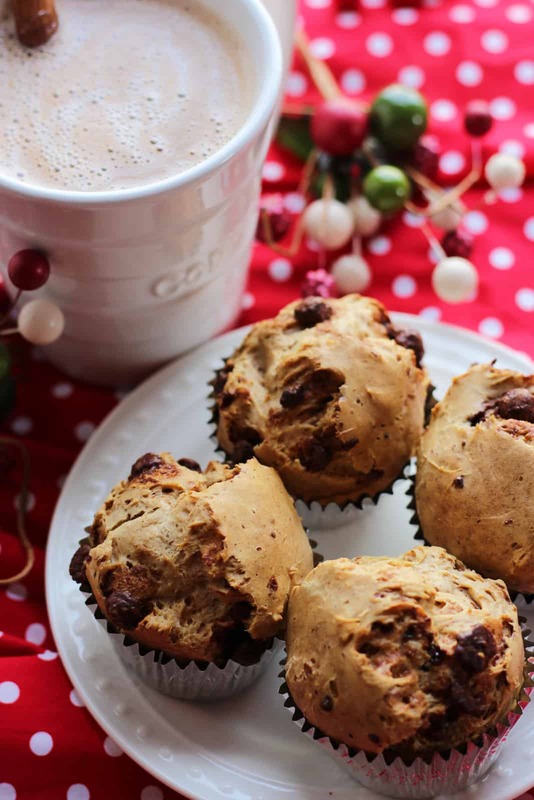 It is so good to have a delicious, gluten free, dairy free muffin and, it doesn’t even have to be Christmas for you to enjoy this treat. Blend all ingredients, (except chocolate chips) in food processor until smooth. Manually stir in chocolate chips. Pour mix into cupcake pan, lined with cupcake liners. Makes approx. 12 muffins. Do not overfill. Add all ingredients to high speed blender. Blend until mixture is smooth like glaze. Blend all ingredients in high speed blender until smooth. Top with swirl of coconut milk, cinnamon stick and orange zest. For more photos, see Instagram.